Advertiser.ie - Is that a Galway accent? IS THAT A Galway Accent?, the debut album collecting both published and broadcast work, by the award winning Galway writer Anne Marie Kennedy, is to be launched in Charlie Byrne’s Bookshop. Is That A Galway Accent? will be launched tomorrow at 6.30pm, by the novelist, poet, and short story writer Geraldine Mills. The album features stories of infidelity, mothers’ secrets, a trapped rat, the perils of decorating a Christmas tree, how to assist a calving cow, and the wisdom of Traveller women. 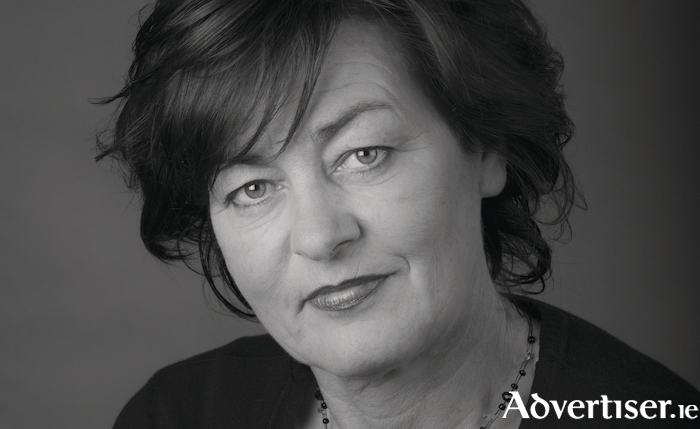 Anne Marie Kennedy has won the Molly Keane Creative writing award 2014, while her play, A Matter Of Modesty, won two golds at the New York International Festival for Radio, in Best Scheduled drama category for RTE and Best actor for Eamonn Morrissey. She is an editor, shadow writer, freelance journalist, creative writing tutor, and performance poet. Geography of Ireland Galway Connacht County Galway Provinces of Ireland Mayors of Galway Christmas Human Interest writer Entertainment_Culture Charlie Byrnes Bookshop Geraldine Mills Patrick D. Ryan Michal hUiginn Fallacy of accent editor , shadow writer New York International Festival for Radio novelist , poet, and short story writer shadow writer , freelance journalist Anne Marie Kennedy tutor , and performance poet the New York International Festival actor for Eamonn Morrissey Is that a Galway accent?